Barker & Williamson searched the world for a good tactical support for our antennas. We couldn't find one, so we made our own! 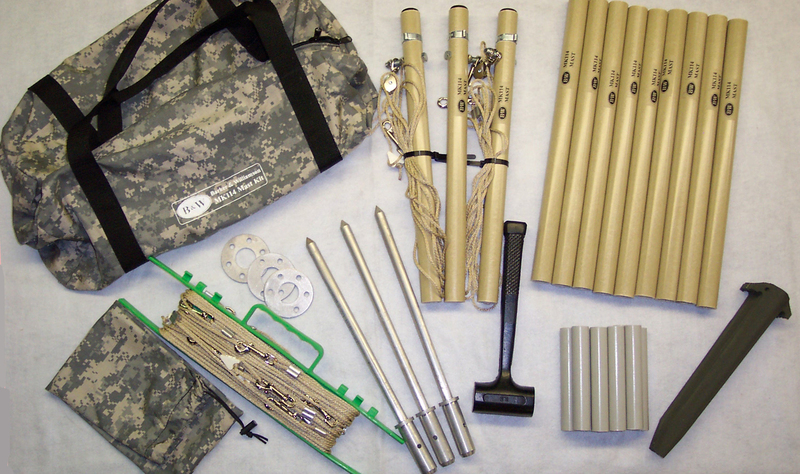 These mast kits were made with the soldier in mind - but they are also perfect for any Government, EOC or emergency field use. The material utilized for the pole sections is a composite known as FRP - fiberglass reinforced plastic. It is extremely light weight, strong, and rigid. Ground locating pins and ground stakes are made from aluminum to avoid rust. All guy lines utilize polyester, which won't stretch, rot, or degrade in UV. Designed for forward units, our man pack mast system provides 3 mast poles of 6 feet in height (assembled). Pole sections are only 18 inches in length, short enough for anyone's pack. This will support our folded dipole antennas in a NVIS configuration. 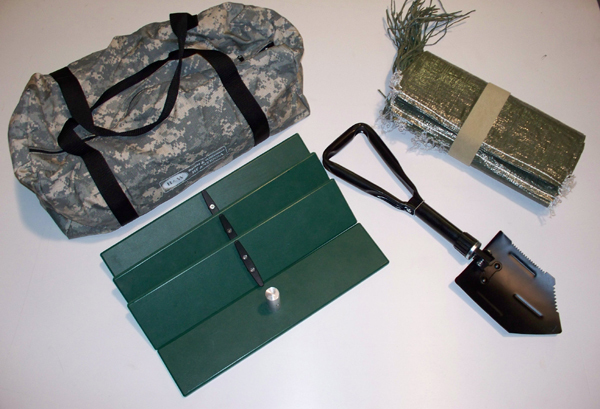 The entire 3 mast kit comes complete with poles, pins, guys, hammer, camouflage bag, etc. Deployment time is approximately 10 minutes. The MK114-NPS allows use of our tactical masts systems on hard surfaces without having to drive any pins or stakes into the ground. For permanent base uses requiring heavy duty masts, featuring a full 1/4" thick wall. Available in 12 or 24 foot heights (assembled). The pole sections are 6 foot long. Configurations include mounting from the ground, as well as roof top units. The roof mount units include a versatile foot for pitched and peaked roofs. Suitable for a wide variety of missions, our rapidly deployable tactical masts come in several configurations. These light weight masts all utilize 4 foot long pole sections. 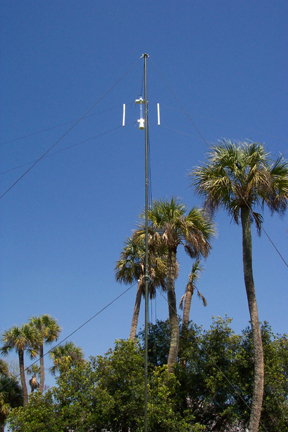 NVIS masts are 12 foot in height (assembled). A long range mast is 24 foot in the center, with 12 foot end masts, allowing for inverted Vee or NVIS operation. 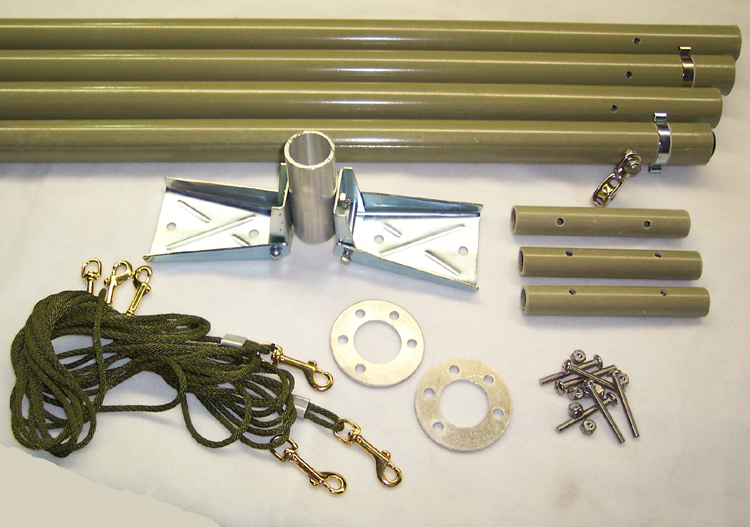 Mast kits come complete with poles, pins, guys, hammers, camouflage bags, etc.